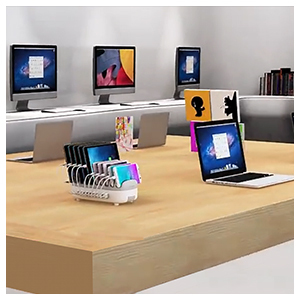 Are you tired of the scattered digital device and cords around your desk? 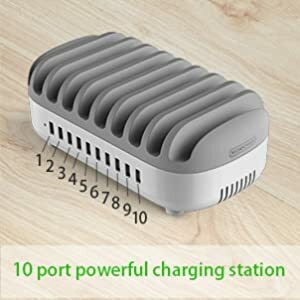 Tired of many adapters taking up most outlet of your power strip and worry about have no enough charging port? Ntonpower usb charge dock can meet your all requirement. 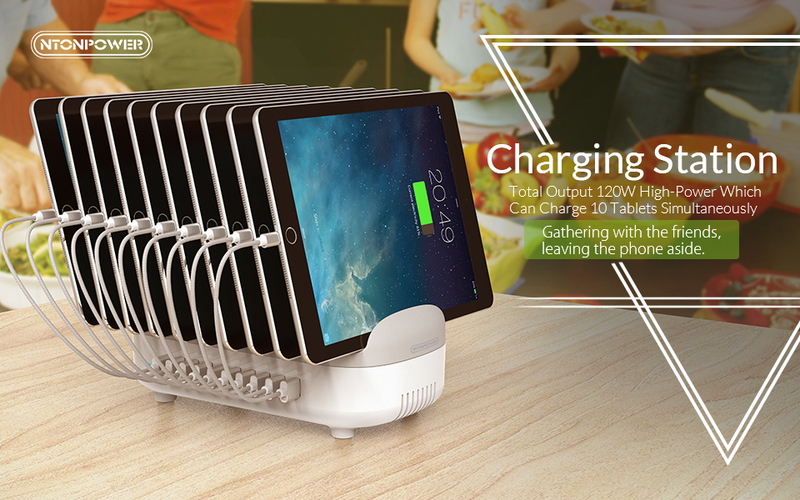 It’s a unique and high-power charging station that combine 10 port universal usb charger and stand. 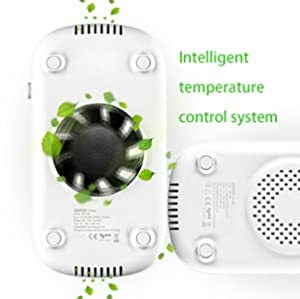 Each USB port with a corresponding stand and scientific slot depth for mobile phones, tablet and other electronic devices .24A 120W in total ,2.4A max for each port, which means can charge 10 tablets or phones at the same time easily. It’s one of the most powerful station on the market. 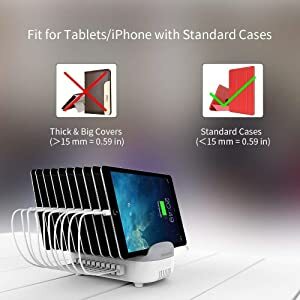 Works great for 10 smartphones or 10 tablets at a time. 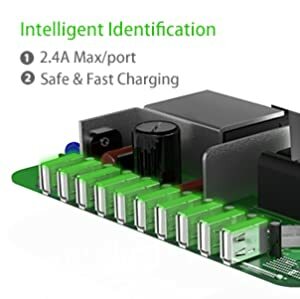 Powerful 120W large capacity charging dock that delivers 2.4A Max FOR EACH USB PORT, therefore to get maximum charging speed almost equals to your original adapters. Some big & thick cases may not be properly fitted. 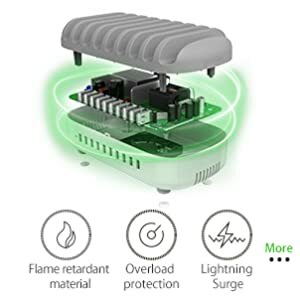 Automatically detects and delivers optimal charge current for your tablets/phones, reaching safe & faster charging speed. Upgraded USB charging tech with built-in overload & over charging protection. NTONPOWER charging station is suitable use in public place, school,party, restaurant, hotel and so on,to meet needs of public place charging.